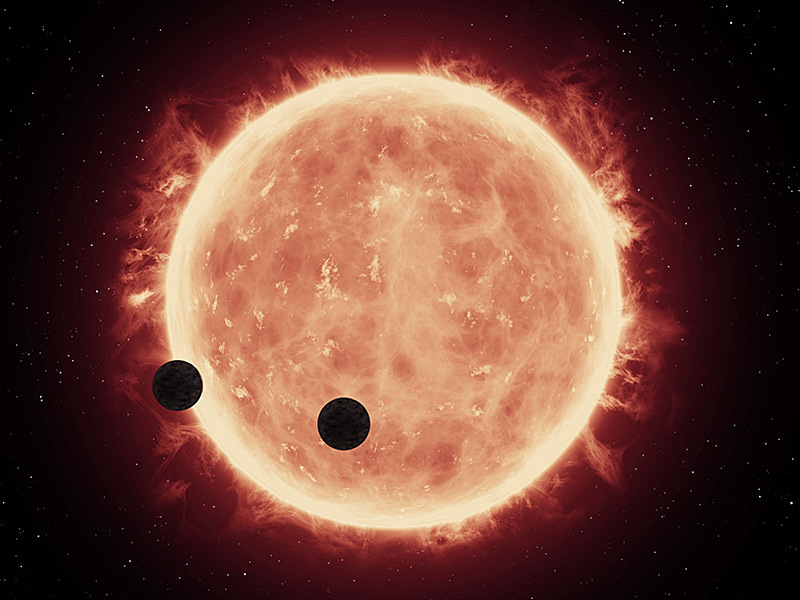 This artist’s impression shows two Earth-sized worlds passing in front of their parent red dwarf star, which is much smaller and cooler than our Sun. The planets, TRAPPIST-1b and TRAPPIST-1c, reside 40 light-years away. They are between 20 and 100 times closer to their star than Earth is to the sun. Researchers think that at least one of the planets, and possibly both, may be within the star’s habitable zone, where moderate temperatures could allow for liquid water on the surface. Hubble looked for evidence of extended atmospheres around both planets and didn’t find anything. This leaves open the possibility the planets have thinner, denser atmospheres like Earth’s. Illustration credit: NASA, ESA, and G. Bacon (STScI). Science credit: NASA, ESA, and J. de Wit (MIT). Using the NASA/ESA Hubble Space Telescope, astronomers have conducted the first search for atmospheres around temperate, Earth-sized planets beyond our solar system and found indications that increase the chances of habitability on two exoplanets. 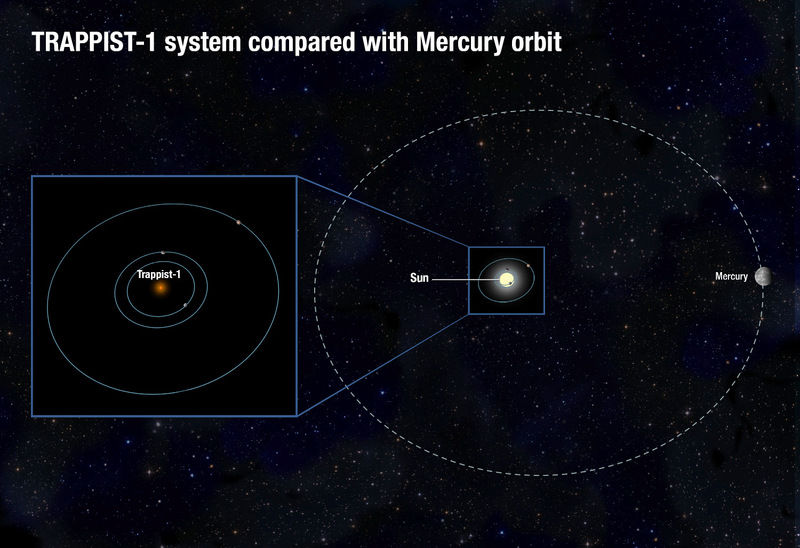 The TRAPPIST-1 system, consisting of several known Earth-sized planets orbiting a red dwarf star, would fit deep inside the orbit of the Sun’s innermost planet, Mercury. Image credit: NASA, ESA, and A. Feild (STScI). TRAPPIST-1b completes a circuit around its red dwarf star in 1.5 days and TRAPPIST-1c in 2.4 days. The planets are between 20 and 100 times closer to their star than Earth is to the Sun. 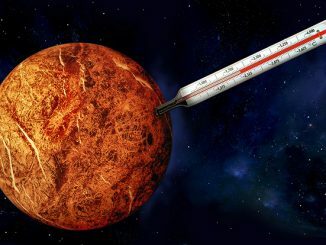 Because their star is so much fainter than our Sun, researchers think that at least one of the planets, or possibly both, may be within the star’s habitable zone, where moderate temperatures could allow for liquid water to pool. On 4 May, astronomers took advantage of a rare simultaneous transit, when both planets crossed the face of their star within minutes of each other, to measure starlight as it filtered through any existing atmosphere. This double-transit, which occurs only every two years, provided a combined signal that offered simultaneous indicators of the atmospheric characteristics of the planets. “With more data, we could perhaps detect methane or see water features in the atmospheres, which would give us estimates of the depth of the atmospheres,” said Hannah Wakeford, the paper’s second author, at NASA’s Goddard Space Flight Center in Greenbelt, Maryland. Observations from future telescopes, including NASA’s James Webb Space Telescope, will help determine the full composition of these atmospheres and hunt for potential biosignatures, such as carbon dioxide and ozone, in addition to water vapour and methane. Webb also will analyse a planet’s temperature and surface pressure — key factors in assessing its habitability. These planets are the first Earth-sized worlds found in the Search for habitable Planets EClipsing ULtra-cOOl Stars (SPECULOOS) survey, which will search more than 1,000 nearby red dwarf stars for Earth-sized worlds. So far, the survey has analysed only 15 of those stars. The results of the study have just been published online in the journal Nature. This NASA/ESA Hubble Space Telescope image reveals NGC 1222, a galaxy with a rather eventful story to tell. 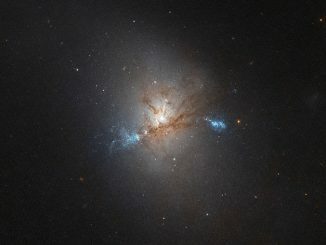 NGC 1222 has been described as a peculiar example of a so-called lenticular galaxy, but one that exhibits very recent star formation on a huge scale — an event known as a starburst — due to having recently consumed two dwarf galaxies. 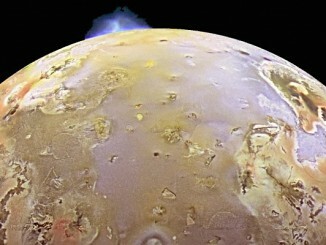 Jupiter’s moon Io is the most volcanically active world in the solar system, with hundreds of volcanoes, some erupting lava fountains up to 250 miles high. New NASA research suggests that tides flowing in a subsurface ocean of molten rock, or magma, could explain why Io’s volcanoes appear in the “wrong” place compared to models that predict how the moon’s interior is heated. The search for habitable, alien worlds beyond our Solar System needs to make room for a second “Goldilocks,” according to a Yale University researcher. The new study suggests that simply being in the habitable zone isn’t sufficient to support life.